I recently completed a portrait of a couple in which I digitally rendered the skin tones and hair – a first for me. Normally I just shade with 2 or 3 lighter/darker tones, but I went the whole hog for this one. 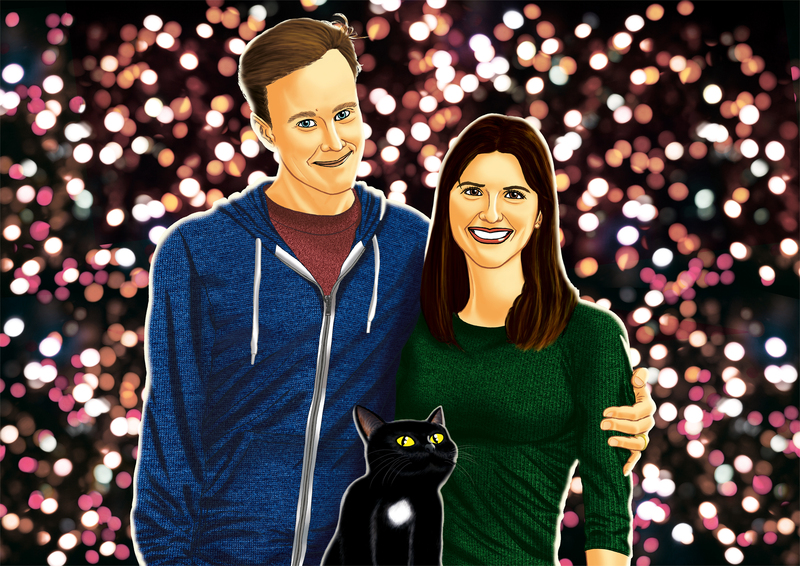 This entry was tagged Adobe Photoshop, cat, celebration, couple, digital colouring, portrait, relationship. Bookmark the permalink.